I certainly cannot claim to be an economist who understands pricing theory but have learned one thing through my years of experience in business: In the real world, pricing has very little to do with the intrinsic worth of our products and services because the value our clients place on the services we provide varies on many things other than the underlying cost of the services or goods we provide. The exception to this rule, if there is one, you might say is commodity pricing. However, even there — in arcane places like pork belies and “North Sea Brent Oil”, speculators — reacting with emotion and reason — often influence prices depending on the whims, passions and controversies of the day. “Value” is so hard to measure effectively that I shake my head in frustration and wonderment. This is reflected in the irony of my Construction Marketing Ideas book and my company’s success in selling advertising in regional and online construction publications. The book’s intrinsic production cost (for the printed version) is about $6.00 a copy. It is virtually zero for the electronic version. Retail prices vary depending on whether you purchase from a high volume distributor like Amazon.com or my own office, and whether you purchase it in printed or electronic format. I sell an average of about 20 to 30 copies a month, with a net wholesale price of about $20 a copy. How much is the book really worth (what is its true value) to me, or you, however? The book has received positive reviews — certainly no one has ever asked for a refund — and I’ve received emails and observations from readers saying they’ve obtained useful and profitable insights from its pages. So I’m confident that the book has a value greater than the $20 to $40 retail price our clients pay. For me, the book has “credibility value” — it has resulted in meaningful speaking opportunities, leading to additional advertising revenue and sales. While direct revenue from the book has (in its first year) reached about $7,000 to $10,000 — the indirect results from the book are approaching three to five times these numbers. Now, compare the book’s price/value to our lowest-priced print advertisement, about $250.00 (there are some less expensive options, but not many in our pricing structure). Unlike the book, I cannot give the same specific underlying cost figure because an individual advertisement actually costs very little to produce; most of our underlying business costs are embedded in the operating processes (production, printing, editorial, overhead, etc.). We do our best to keep these costs under control. Once we achieve break-even, however, the margin on sales for individual advertisements is quite good. Now, the question is, how much value do our advertisements provide our clients? Many businesses purchase their advertising because they want to be seen as supporting their own clients, because the ads appear in special editorial features promoting businesses and services which we publicize. Some perhaps advertise out of fear of offending their major clients. This is real “value” though it has relatively little to do with the actual service provision costs. These distinctive pricing and value elements find their common ground in the marketing concept of “brand”. If you gouge, you will ultimately have a terrible brand, and pay for your greed in the future. If you price your services and run your business on a “low price must win the job” model, you are allowing pricing to overtake your reasoning and assessment of real value. So how do you find the middle ground? Well, here things get really interesting because everything that seems to be, isn’t. Five years ago, in setting out to reform my business to avoid the suggestions and correct the errors we had made in possibly gouging our clients, I decided that clients purchasing any advertisement in any of our publications would always be able to receive an order of magnitude of genuine value greater than the amount they pay. How could I achieve this lofty goal? 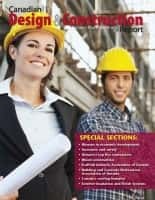 I set out to be a genuine expert on construction marketing, learning everything I could about effectively enhancing the business, joining the Society for Marketing Professional Services (SMPS), writing for their magazine, attending conventions, reading books, interviewing dozens of market leaders and more. I also started this blog. 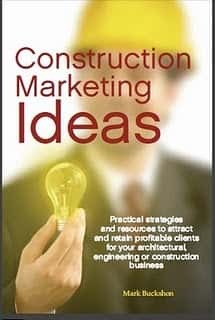 These initiatives lead me to write the Construction Marketing Ideas book. We also set out to contribute to our community, supporting worthy causes and organizations serving the construction industry and wider community, with free advertising, consulting, support, time and sometimes some cold hard cash. These actions have helped protect and preserve our brand. We sell the advertising in our publications for about the same amout of money as before (in fact our rates have increased) but the value has increased far greater than the price. Notably, this branding success has led to some truly profitable new business opportunities developed through our enhanced community relations. But do the individuals who purchase advertising in our publications really take advantage of all the resources and services we provide? Well, my book is freely available (without charge) to anyone who advertises in our publications, but only a few take up the offer. They are ready to pay $250 for a one-time “support” advertisement, but don’t request the free copies of my book which sells in the open market for $25.00 to $40.00. So you may see the disconnect — and challenge — in construction marketing and pricing here. Effective marketing ultimately allows you to collect a higher price from your current and potential clients but the effective marketing needs to provide a real sense of value underneath the pricing hood. However, when you try to link the pricing, marketing and value components you can discover strange disconnects. After all, most of the insights in my book, which presumably can be purchased on the used book market for just a few dollars, are also available on this blog, which you can read for free. Yet the book and blog, along with free community service, elevate the brand of our business, so our current and potential clients don’t mind paying the price we set for our advertising — even though the same ads, sold at similar prices — by other publishers invite concerns about price gouging. This long posting leads to one of the most fundamental suggestions in my book. If you build a great brand, you can increase your pricing, and the more your brand is strengthened, the higher the price you can collect. Just remember that you must be careful not to take things too far — because if you start gouging, or are perceived to be doing that, your brand will be toast, and you will lose all the marketing clout you’ve earned to reach that point. What do people think about your marketing?